I say not only the image of centaurus a, but of all the image that it encompasses, I challenge the friends to open the image in high difficulty by the link: https://www.astrobin.com/full/348854/0/ LA VOCE YOU CAN ENHANCE THE IMAGE IN MAX RESOLUTION, and try to locate galaxies in the photo. 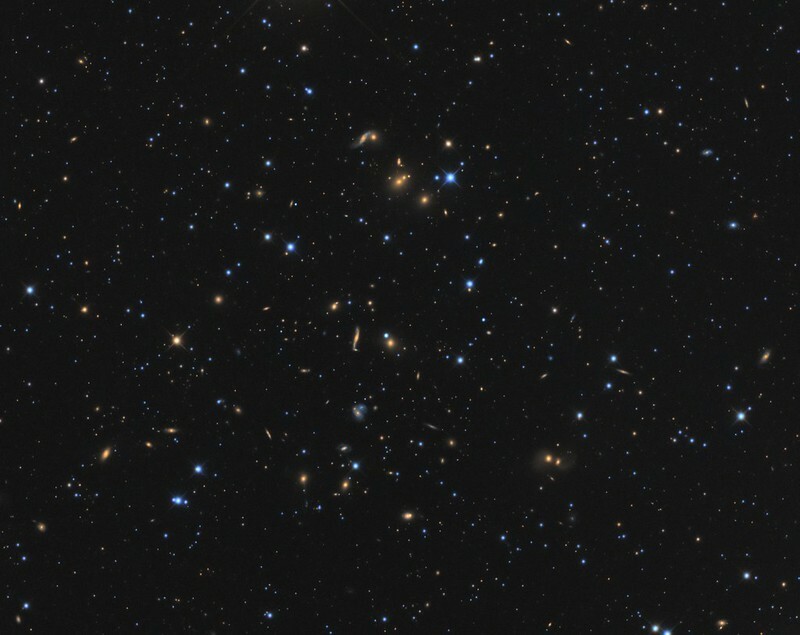 One tip, there are almost 30 galaxies in the image. A globular cluster unlike any other, globular cluster more observed, presents in average 10x more massive than the other globular agglomerates. Located in the constellation Centaurus, and can be seen with the naked eye in the southern hemisphere, in places of low light pollution. It is so mysterious, that recent research based on observations using the NASA Hubble Space Telescope and the Gemini Observatory, indicated that there is a black hole at its center. This suggests that the Omega Centauri may actually be a dwarf galaxy that has been stripped of its outer stars and not of a globular cluster. 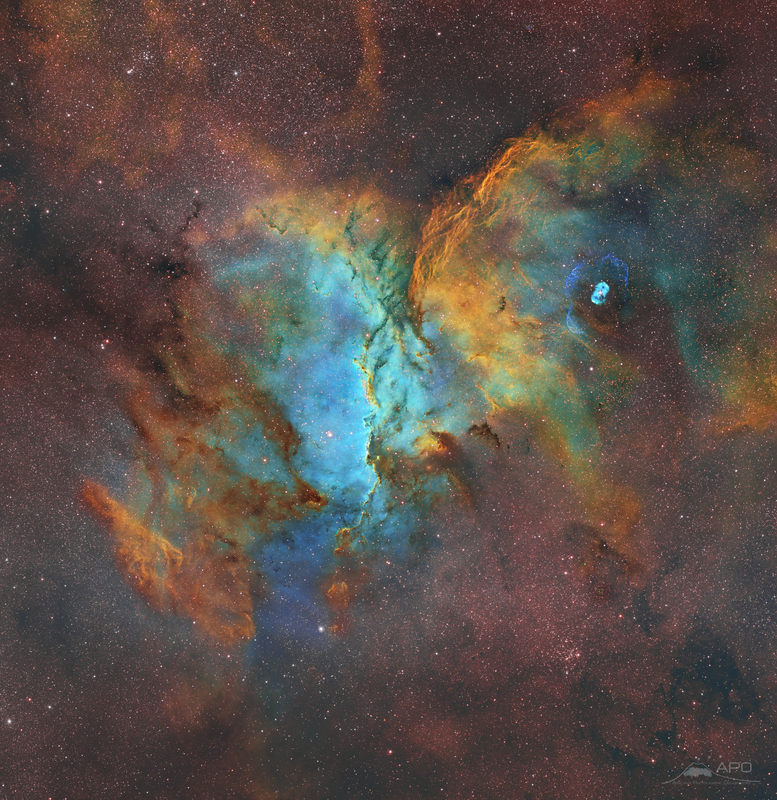 Here is NGC6188, giant nebula in Ara constellation. This is 4 frames mosaïc made at SPACE, San Pedro de Atacama, at Alain Maury's facilities in Chile. Last edited by bystander on Tue May 29, 2018 1:51 pm, edited 1 time in total. Our Moon is a common astronomical object and we might think we know everything of it. In some occasions although, when sun illuminates it radently, specific lunar region details are reveiled from a different point of view. In this picture, taken with a 14" reflector telescope, the region between the Appennin mounts and the Archimedes crater region creates the effect of an heart being sketched on the Moon! 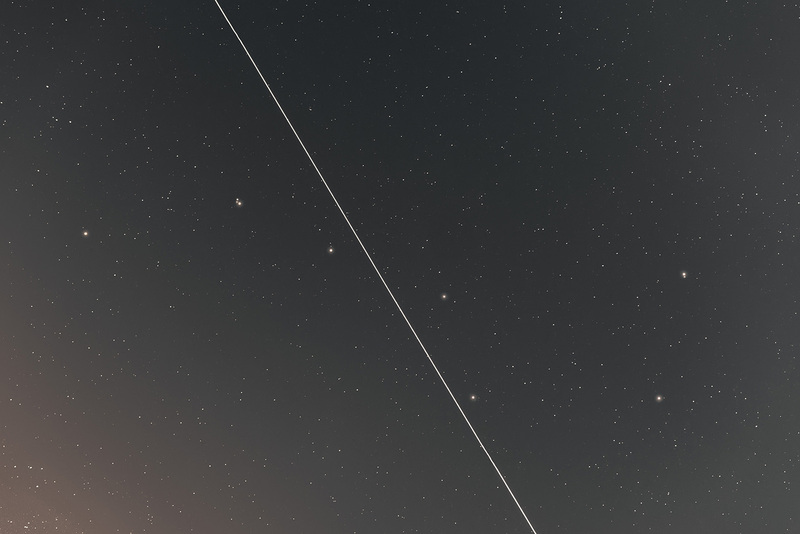 Despite the regular monthly apperance on our sky, our satellite still offers unknown views for both romantic lovers as well for celestial amatours observers. Jupiter's image from Palermo, Sicily (Italy) taken on May, 26 just few days after its opposition. Last edited by bystander on Sat Jun 02, 2018 4:49 am, edited 1 time in total. Observing in infrared light, Hubble pierced through the obscuring gas and dust of M16’s Pillars of Creation. This ethereal image reveals the young stars that are being formed within the pillars. It also uncovers a myriad of background stars that were hidden at visible wavelengths.